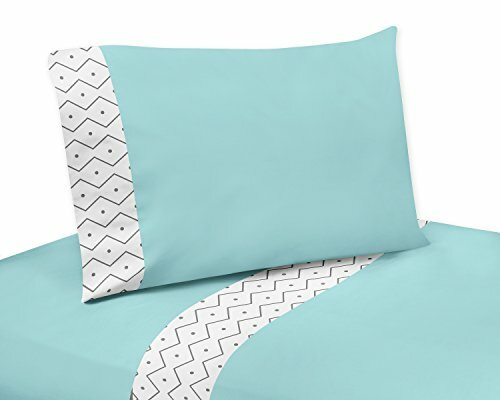 Comforter: 60 in. x 48 in., Standard Sham: 20 in. 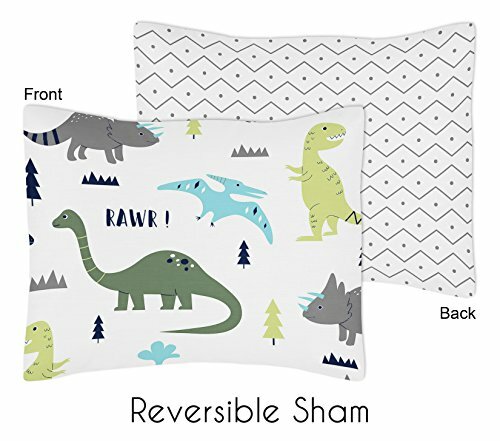 x 26 in., Standard Pillowcase: 20 in. 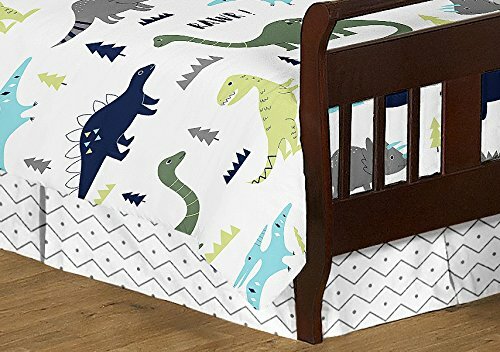 x 30 in., Fitted Sheet: 52 in. x 28 in. x 8 in. 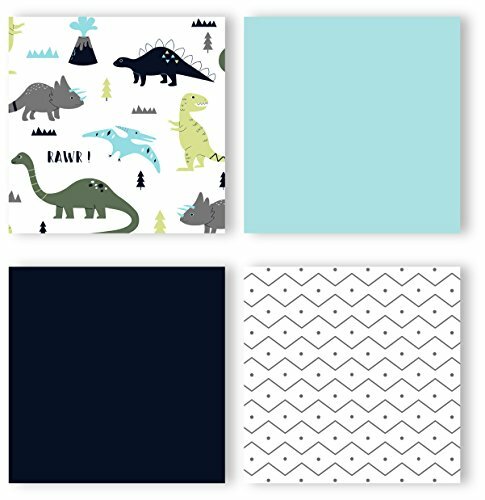 pocket, Flat Sheet: 70 in. x 42 in. 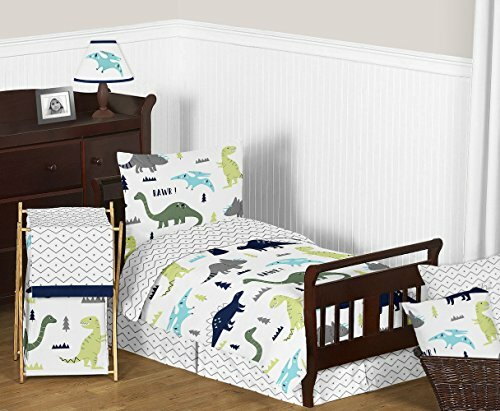 This bedding set combines a multicolored dinosaur print and a coordinating grey chevron prehistoric print.